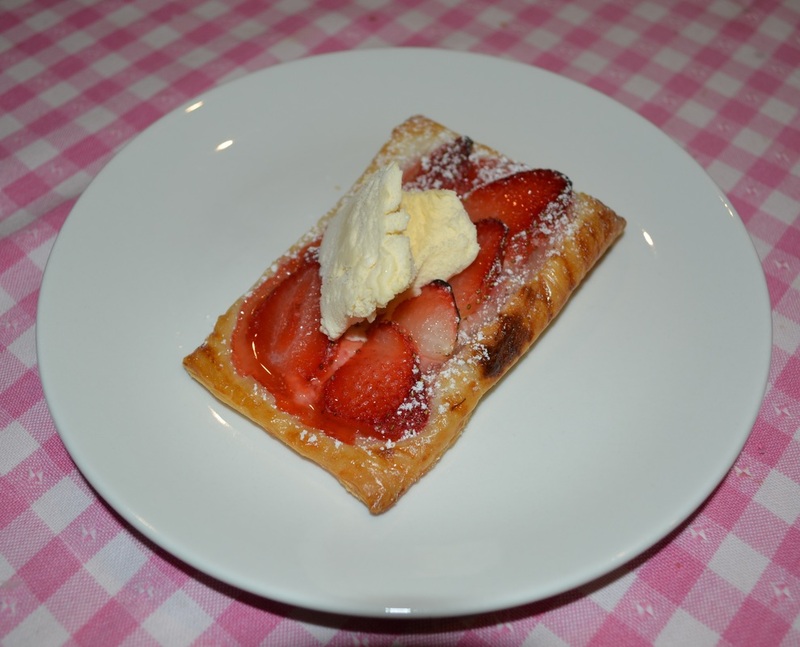 Here is a quick and easy 5 ingredient dessert, that you and your family will love. When I was preparing these my husband thought they were too simple, not a 'real' dessert, he thought they would be ordinary. But once he tried it, he loved it and wanted more. Actually the only complaint I got from my family is that I didn't make enough, they all wanted more. This takes about 30 minutes from preparation to completion, which I love on busy days. Another thing I love is that it is made with ingredients I always have in my house, so they can be whipped up for breakfast, as a sweet snack or like tonight a quick dessert. Try these, you will not be disappointed. Preheat oven to 200C. Line a baking tray with some baking paper. 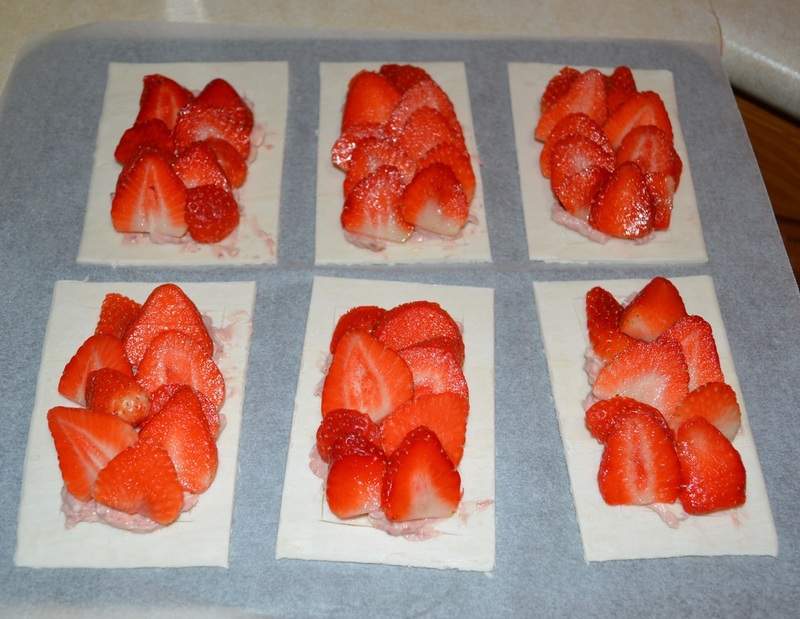 Cut the puff pastry into 6 rectangles (first cut into 3 long rectangles, then cut each long rectangle in half). Place on your prepared baking tray. Using a sharp knife score a rectangle shape 1 1/2cm from the edge (do not cut through the pastry, just lightly score it). Using a fork prick the centre of the pastry inside of the rectangle. In a small bowl, mix together the cream cheese and the jam. 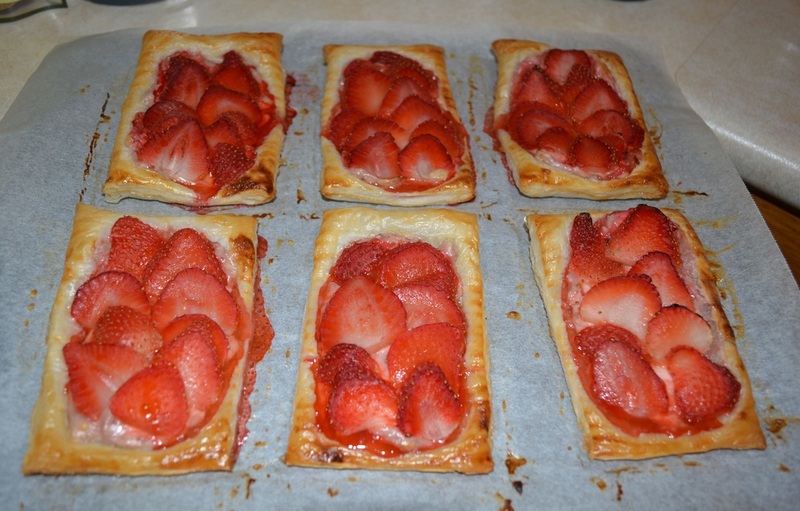 Place a dollop of the cream cheese mixture into the centre of each pastry, spread out within the scored area. Arrange the sliced strawberries over the cream cheese mixture. Whisk together the egg and a tablespoon of water. 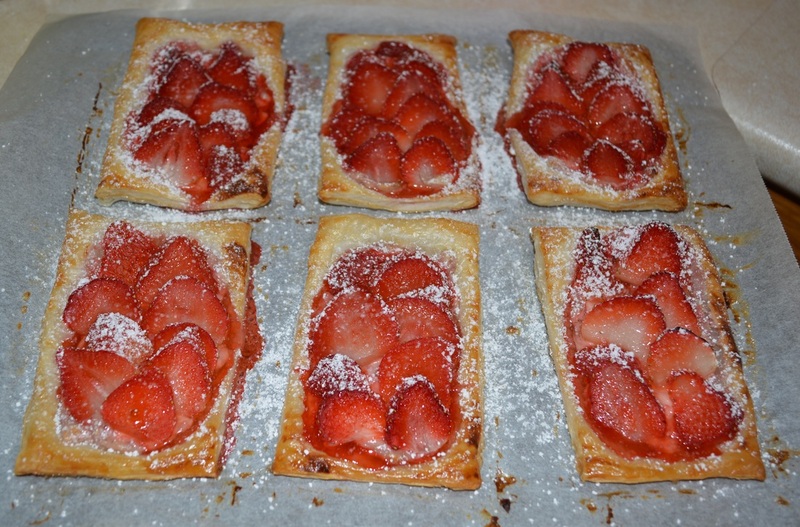 Brush the edges of the pastry with the egg mixture. Bake for 15-17 minutes or until golden and puffed.